Soshiki Karate 組織 空手 (松濤館) ကရာေတး: Today Combat Karate is popular martial arts of U.S. Army How about future of Karate! What is the future of my beloved Karate? 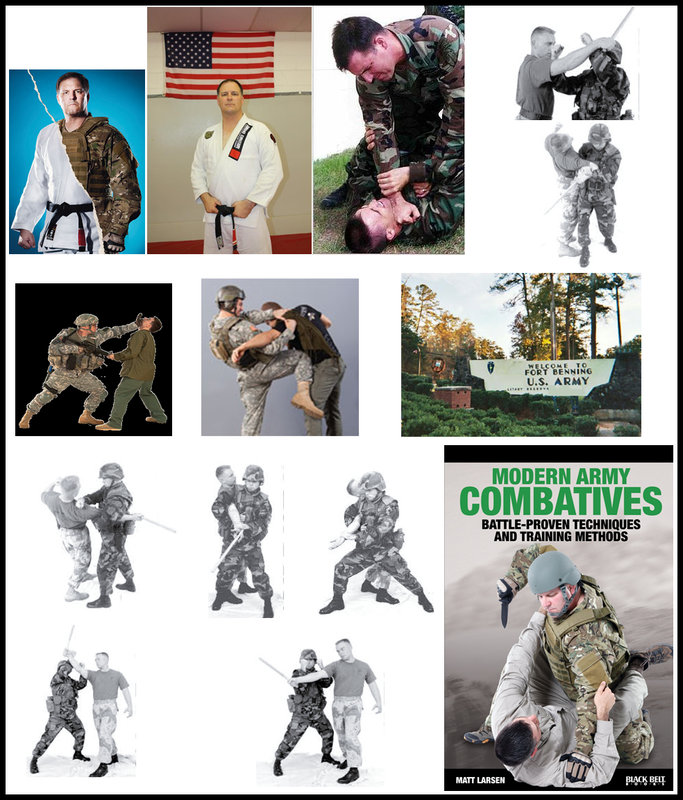 Today Combat Karate is popular martial arts of U.S. Army! How about future of Karate! What is the future of my beloved Karate? 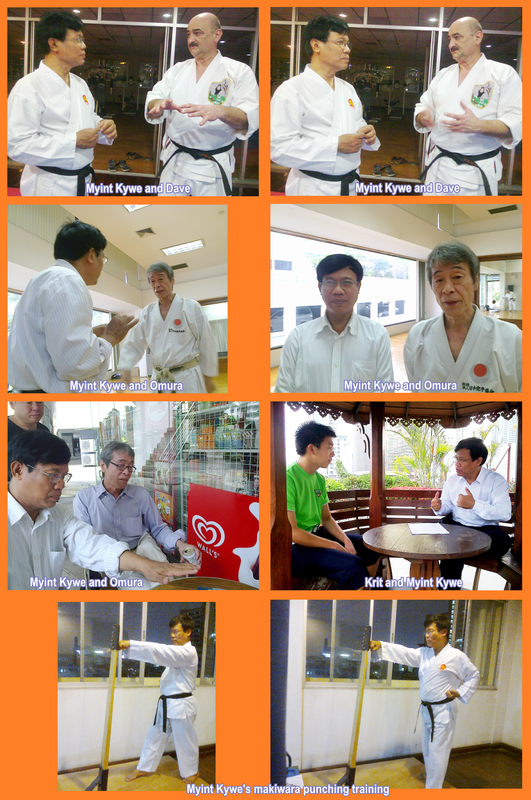 “I am a karate chief instructor since 1978, Rangoon (Yangon). I have teaching experience 37 years in karate. I have been practicing karate since 1970. I have had experience 45 years in karate. All my pupils always call me "Master"..."Professor"..."Teacher". However, I want to say I am always a "Senior Student" and "Junior TEACHER in karate. Karate martial art is very wide and deep. "Everyone MUST learn Karate righteously and honestly". Please allow me to explain about karate. I have been training for karate a little over 45 years. An increasing number of karate organizations have established weight classes and a point system for tournaments, giving karate a sport-like status. In fact, more and more, the art of karate is being made into a popular competitive sport. Some people hope to make it part of the Olympics, just like JUDO. I also believe Karate will be in the Olympic Games in 2020. I am really so happy, proud and congratulation as a Karate family member. Karate is actually already an Olympic Sport. Many Karate enthusiasts worried some behavior of today some karate included me. Web Japan (sponsored by the Japanese Ministry of Foreign Affairs) claims there are 50 million karate practitioners worldwide, while the World Karate Federation claims there are 100 million practitioners around the world. Please may I say something! There are THREE different types of today Karate. 1) Many competitors in karate tournaments , where the emphasis is on winning points only, and where correct karate technique with full power is not so important as long as you touch your opponent and score a point to win. We strongly DISLIKE some sport Karate practitioner without powerful BUNKAI without advanced KUMITE. If sport Karate man involves advanced bunkai and advanced sparring technique instead of bouncing for show, then Sport Karate man would be recognized as "Real Karate man." Some karate practitioners are not only bouncing but also used powerful bunkai. Karate is NOT already a spectacular enough sport, and its roots are strong enough. True essence of Karate is not just an athletic training. The goal is not to win and winning points, but to pit one’s skills against another’s, thereby testing one’s progress and techniques. We know already either you are knock down by your opponent or your opponent knock-down by you; there are no main points to be gained along the way. Each match has a clear "winner," but winning itself is not the final objective. BUT the only goal is to apply and useful one’s excellent skills to the best of one’s ability real life (consists street fight). You can protect (defend) and counter attack yourself from attack by enemy on the road. This is our basic principles of our ancient real karate. I mean Karate is NOT basketball, baseball, break dancing. I don't mean Karate is ever fighting to others always. But karate needed powerful and useful in real life. True Karate is not just a dancer entertainment. True Karate is not only athletic training and sport activity but also useful powerful martial art in real life, combative, and a street fight that trains people physically and mentally. True karate is a way of life, not a sport or competition. We're not rejecting Sport Karate. Sport Karate is good, especially good for health. But sport karate is NOT completely useful in real street fight or in ground fighting. Today almost sport karate is dancing and bouncing in the karate tournaments. Shuseki Shihan Masatoshi Nakayama did not bounce at sparring in Karate. Sosai Mas Oyama also did not bounce at sparring in Karate. All true karate instructors also did not bounce in Karate. Senior masters of karate world never used bouncing up and down in tournament. If Sport Karate involves advanced powerful BUNKAI and advanced sparring technique instead of bouncing for show, then sport Karate would be recognized as "Real Karate." Real famous karate practitioners did not bounce. 2) Karate for gambling, where the emphasis is on entering a ring to put a show and fight to win money through karate. This is regardless of whether a true karate technique is used or not, like the so called ultimate fighting seen on TV, video and movies today. Karate is ashamed. I am so sorry and ashamed. 3) Real karate (powerful combative karate), where the emphasis is on learning the technique & skill and the art of knocking out an opponent with one blow, and to develop oneself physically and mentally to the ultimate human potential limit, and which also trains a much weaker person to overcome a much stronger person through technical skills & competence using pure karate techniques applied correctly. Karate is so popular worldwide precisely because it has developed useful powerful method. Real karate martial arts are codified systems and traditions of combat practices, which are practiced for a variety of reasons: self-defense, competition, sport, physical health and fitness, entertainment, as well as mental, physical, and spiritual development. Combat Karate is very good and suitable for Army commando, police commando, students, men, women, boys and girls. Especially, it's good for women and girls for protecting themselves and health. If someone bully on you, you can protect by using Karate. So let's practice sport Karate and traditional Karate correctly!! · By application or intent: sport, self-defense (combat training), choreography (the sequence of steps and movements in karate) or demonstration of forms, physical fitness, meditation, etc. You need to be calm, fast and powerful. You should maintain calm, fast, power, and steady. Kata and Kumite originally were teaching and training methods by which successful combat techniques were preserved and passed on. Combative Karate can also be described as a useful martial art, or fighting method, involving a variety of systematic techniques, including blocks, strikes, evasions (dodge), throws, kicks, punches, and joint manipulations (Joint breaking). Karate training will improve your stamina, strength, speed, strategy and flexibility. Because of the intensity of the training karate will improve your overall fitness and body awareness. Karate training will strengthen and develop almost every muscle in your body. The real COMBAT karate consist Kihon, Kata, Kumite, and COMBATIVE training systematically and theoretically. REAL Karate is the powerful combat martial art using punching, kicking, knee strikes, elbow strikes, open hand techniques, chokes, dodges, joint manipulations, grappling, throws, take downs blocks, strikes, throws, restraints. Testing or evaluation is important to karate practitioners of many disciplines who wish to determine their progression or own level of skill in specific contexts. Students within individual karate systems often undergo periodic testing and grading by their own teacher in order to advance to a higher level of recognized achievement, such as a different belt color or title. The type of testing used varies from system to system but may include forms or sparring. Various forms and sparring are commonly used in karate martial art exhibitions and tournaments. Some competitions pit practitioners of different disciplines against each other using a common set of rules, these are referred to as mixed martial arts competitions. Rules for sparring vary between art and organization but can generally be divided into light-contact, medium-contact, and full-contact variants, reflecting the amount of force that should be used on an opponent. Full-contact sparring or competition, where strikes are not pulled but thrown with full force as the name implies, has a number of tactical differences from light and medium-contact sparring. It is considered by some to be requisite in learning realistic unarmed combat. In full-contact sparring, the aim of a competitive match is either to knock out the opponent or to force the opponent to submit. Karate training aims to result in several benefits to trainees, such as their physical, mental, self-control, humble and spiritual health. Through systematic practice in the karate a person's physical fitness may be boosted (strength, stamina, flexibility, movement coordination, etc. The karate master teaches students many things. Main of the most valuable tools a student receives is patience and humility. Instructors or teachers must always remember that they must show and practice this instrument every day in every class. Instructors should be ideal. A great teacher or instructor is a skilled leader. Different from administrative leaders, effective teachers focus on shared decision-making and teamwork, as well as on community building. This great teacher conveys this sense of leadership to students by providing opportunities for each of them to assume leadership roles. Every instructor or teacher should SKILLS and read the many books. up-to-date knowledge of their methods and a deep understanding of how students learn particular aims. Effective teaching demands that the teacher be knowledgeable in the karate area. The teachers or instructors must have a detailed understanding of what is being taught. Real karate is not only about sport thing and powerful martial art, but also consists humility, patience, forgiveness, self -control, self- confidence, build of good character, kindness, compassion, and self- discipline should always be before karate self-defence. We all instructors and students should abstain from all evil, committing murder, suicide, stealing, lying, betraying, sexual misconduct, adultery, polygamy, homosexuality, and bullying. We should abstain from anger (not easily angered). Karate martial artist is not easily angered. The essence of karate is to be humble and not to be arrogant…. The essence of karate is to be humble and not to be belligerent …. Most instructors, thus, were not boastful or arrogant or belligerent as this would attract a challenge. Of course, some instructors were boastful, belligerent and arrogant because they don't know aims of karate, essence of karate. Today, challenges are rare (even illegal) and instructors can pretty much boast freely. There are so few limits on the ego! If other person lunges at you or tries to kill you, punch you, kick you, you can protect (counter attack) yourself by fighting back. If you fight back and the other person gives up or is unable to defend himself, you do NOT continue to hit him - it's an unreasonable use of force. If the other person doesn't come close enough to you to actually hit you and he doesn't have a weapon and he starts to walk away, you can't chase after him and hit him - the threat of harm to you isn't imminent. The laws on self-defense vary from one event to another event, but in general you're allowed to use reasonable physical force to protect yourself from imminent or immediate physical injury. You can only use that amount of force that's necessary to stop the threat of harm. You do NOT use deadly force. The keys to remember are: You can use only that amount of force that's necessary to protect yourself from immediate harm. The wholesale value of martial arts related sporting equipment shipped in the United States was estimated at 314 million USD in 2007; participation in the same year was estimated at 6.9 million (ages 6 or older, 2% of US population). In 2001, Matt Larsen, then a Sergeant First Class, established the United States Army Combative School in building 69 at Fort Benning, Georgia. Students are taught techniques from the 2002 and 2009 versions of FM 3-25.150 (Combative), also written by Larsen. The aim of the regimen is to teach soldiers how to train rather than attempting to give them the perfect techniques for any given situation. The main idea is that all real ability is developed after the initial training and only if training becomes routine. Combative is a term for hand-to-hand combat (H2HC) training and techniques. My SOSHIKI karate school teaches that Shotokan Karate is NOT just kicking and punching, it is a way to develop respect, self-confidence, manner, ethics, etiquette and self-control. We should practice how to be honest to ourselves and to be honest to others. We should study how to be humble to ourselves and to be humble to others. How to reduce hatred and how to stop the hatred? How to reduce anger quickly? How to control our mind? How to stop arrogance and belligerence? Do you agree or disagree with the following above mentioned idea? What you choose will depend on your decision. Your decision depends on your expedience in real Karate journey.